Dow Jones Industrial Average News, 4/6/2016: The markets will digest the minutes from the March meeting of the U.S. Federal Reserve. There was a time that these minutes actually mattered, but the nation's central bank has created a new standard where once they all get together and make a bad decision, they quickly all run out and give conflicting speeches about the state of the economy. 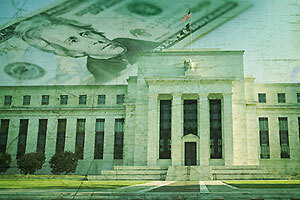 That said, the Fed will release the minutes from the March meeting later this afternoon. Here's more of today's top stock market news, stocks to watch, and economic calendar for Wednesday, April 6, 2016. Futures for the Dow Jones Industrial Average projected a 28-point gain ahead of today's release of the minutes from the FOMC meeting last month. The markets anticipate the next rate hike will be later than sooner, which is pushing stocks higher. Here's a breakdown of why the Dow Jones is on the rise this morning. First up, the deal is dead. Shares of Allergan Plc. (NYSE: AGN) fell 15% yesterday, and another 2.4% this morning, after Pfizer Inc. (NYSE: PFE) announced it's walking away from their planned merger. The pharmaceutical giant walked away from the deal after the U.S. Treasury Department introduced a number of new rules to prevent American companies from engaging in inversion deals in order to dodge the government tax code. As part of the breakup, Pfizer will be forced to pay a deal termination fee of $150 million to Allergan. The deal news isn't all bad this morning. Shares of Polycom Inc. (Nasdaq: PLCM) rallied 10.7% after rumors emerged that the video and voice technology firm is considering a takeover bid from Mitel Networks Corp. (Nasdaq: MITL). WTI crude oil prices were running wild this morning as traders grew more optimistic about a potential deal among global producers to freeze current output levels in order to support prices. WTI crude prices ticked up 2.8%, while Brent added 2.4%. Later this afternoon, expect oil prices to move after the weekly inventory report from the U.S. Energy Information Administration (EIA). 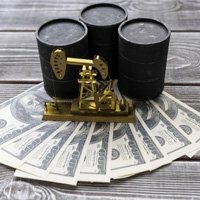 Last week, the agency announced that crude stocks hit a new record, although the increase was smaller than economists had expected. On the economic front, pay attention to speeches from two members of the Federal Reserve as investors attempt to determine the timing of the next interest rate hike by the U.S. central bank. Maybe gambling isn't a good way to make money. Shares of Wynn Resorts Ltd. (Nasdaq: WYNN) were off 0.6% this morning on news the company's performance in Macau, China, is waning. The firm also said its profitability in Las Vegas has been flat. The U.S. Justice Department announced it will sue in order to stop the proposed merger of Halliburton Co. (NYSE: HAL) and Baker Hughes Inc. (NYSE: BHI). Shares of Baker Hughes fell by 5% yesterday after the government announced the plan to prevent the nation's second- and third-largest oil field services companies from joining together. The deal was announced in November 2014. On the earnings front, Constellation Brands Inc. (NYSE: STZ) announced it beat Wall Street earnings expectations by $0.05. The spirits maker also announced plans to purchase the Prisoner Wine brand from Huneeus Vintners this year. Look for quarterly reports from Bed Bath & Beyond Inc. (Nasdaq: BBBY), Monsanto Co. (NYSE: MON), Global Payments Inc. (NYSE: GPN), Apollo Education Group Inc. (Nasdaq: APOL), and Acuity Brands Inc. (NYSE: AYI). Cleveland Federal Reserve Bank President Loretta Mester speaks at 12:20 p.m.
Dallas Federal Reserve Bank President Rob Kaplan speaks at 8 p.m.